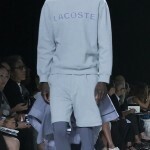 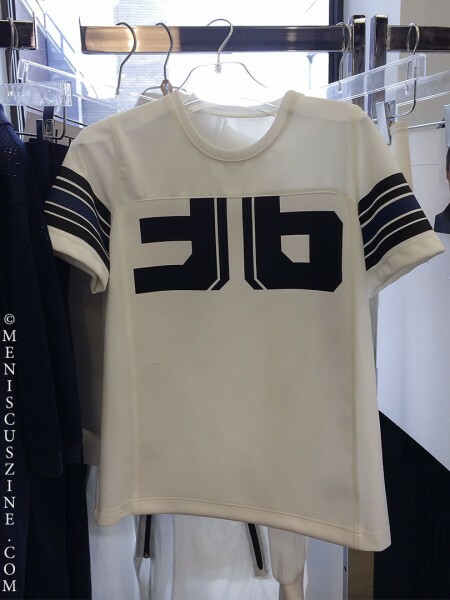 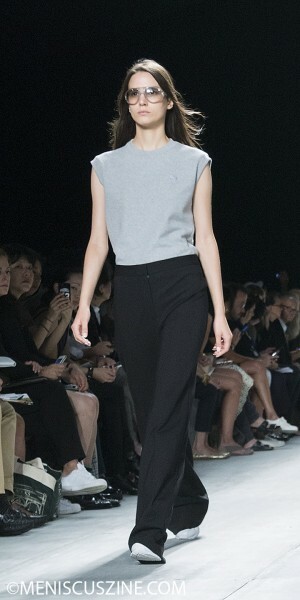 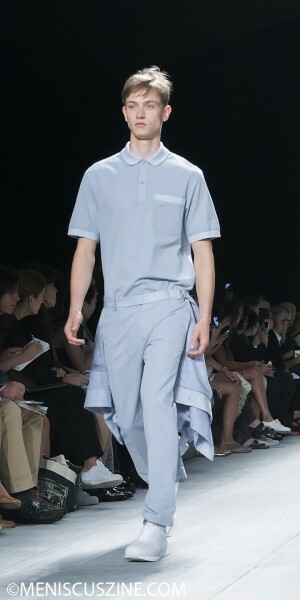 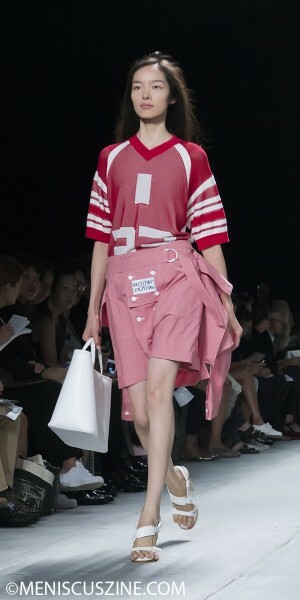 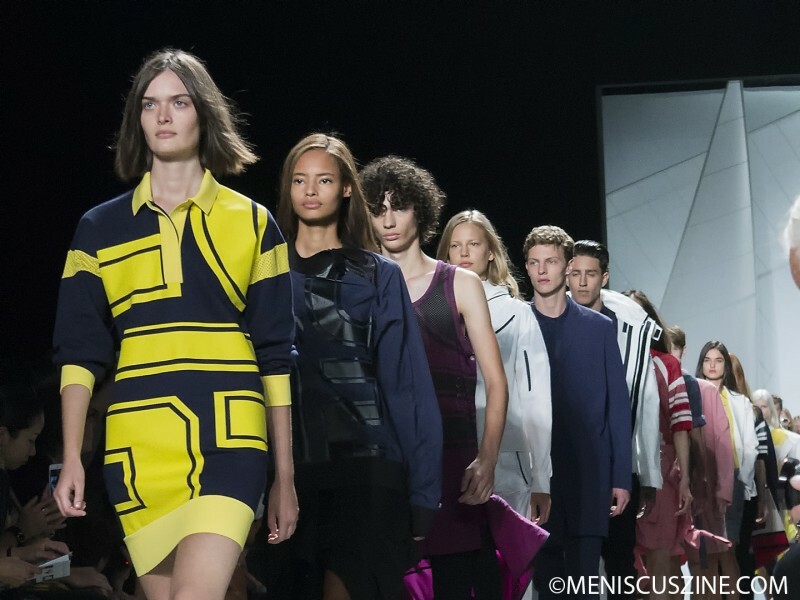 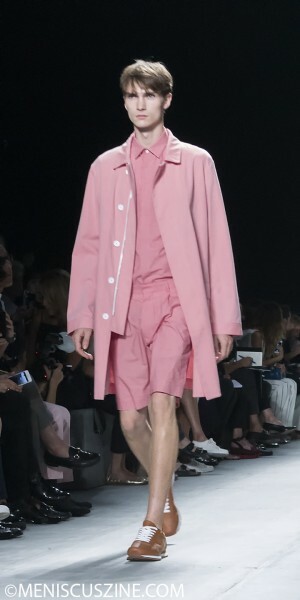 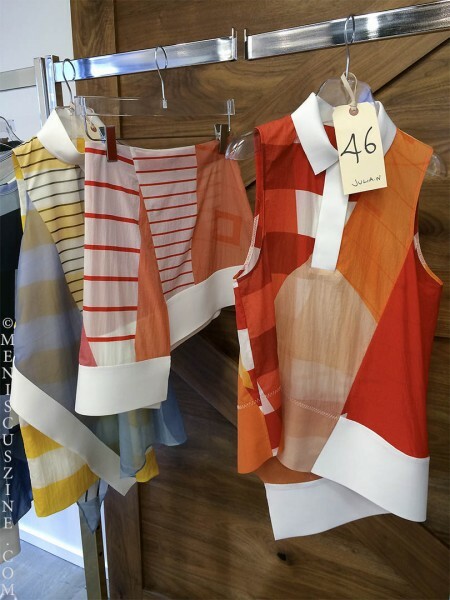 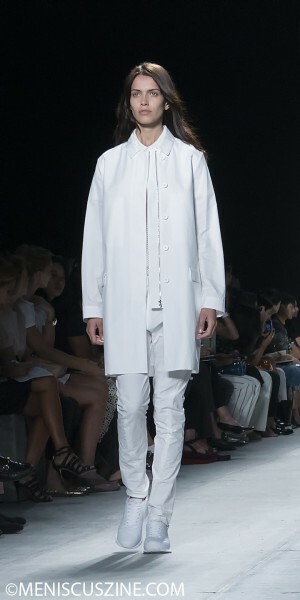 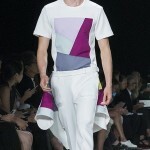 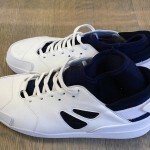 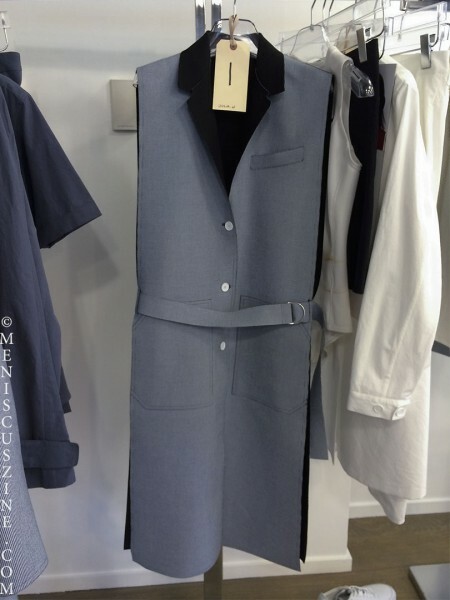 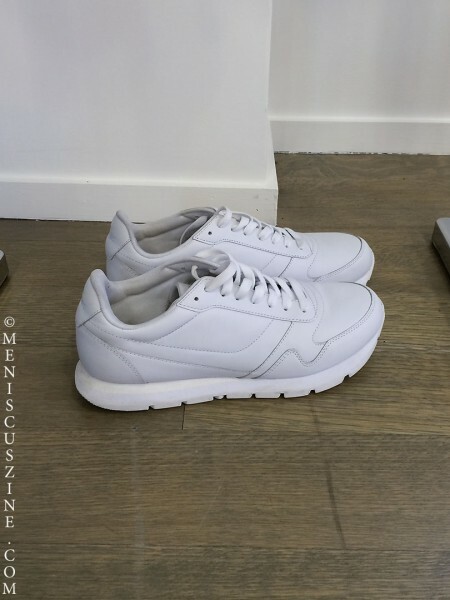 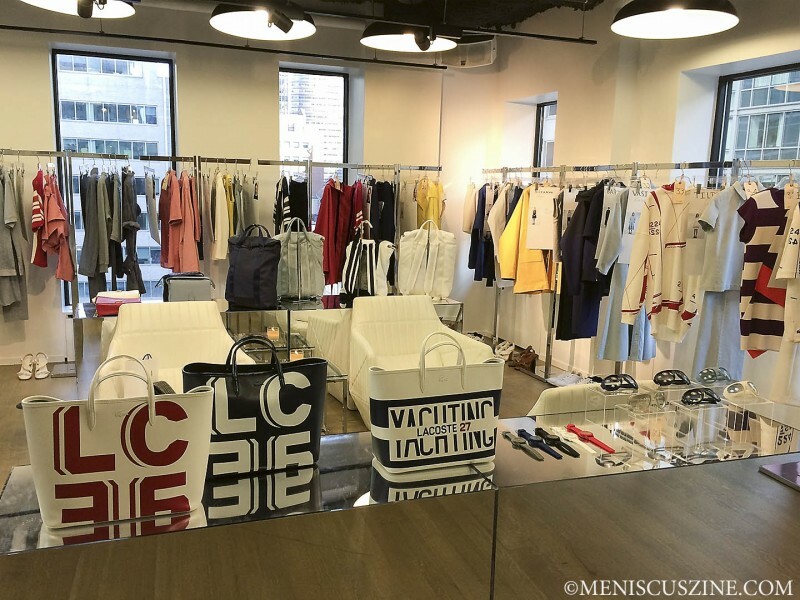 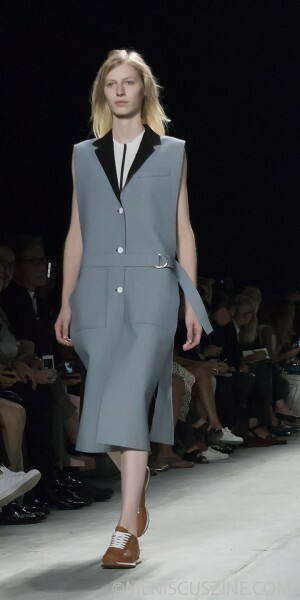 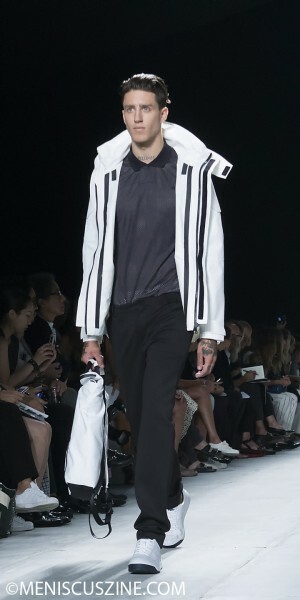 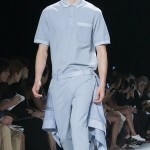 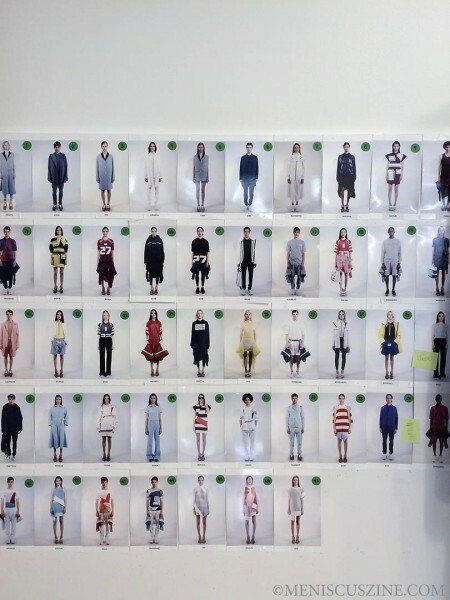 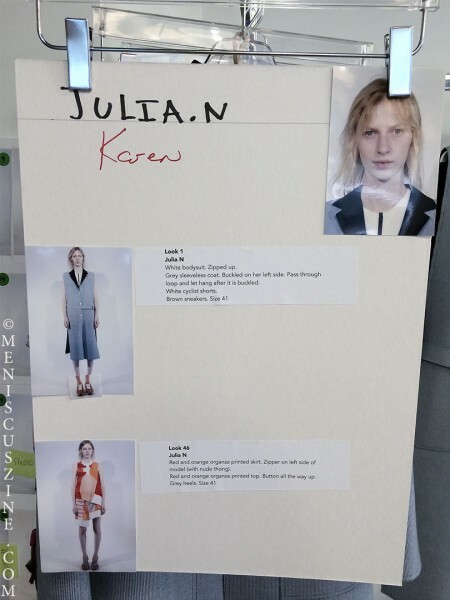 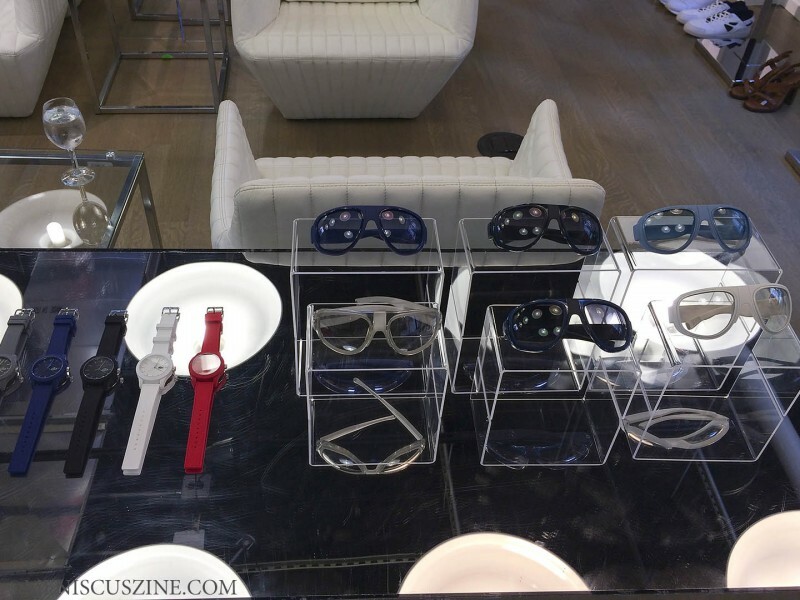 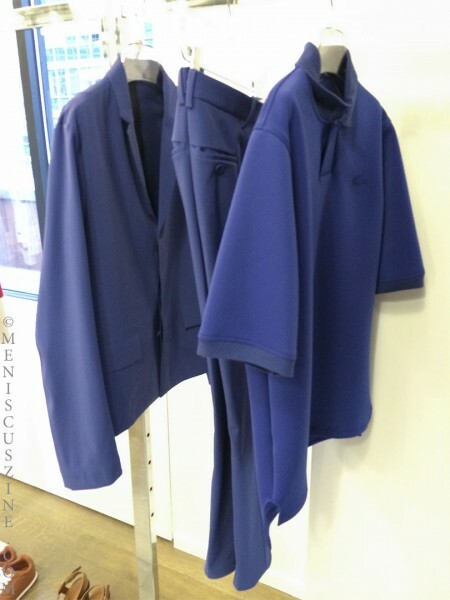 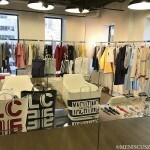 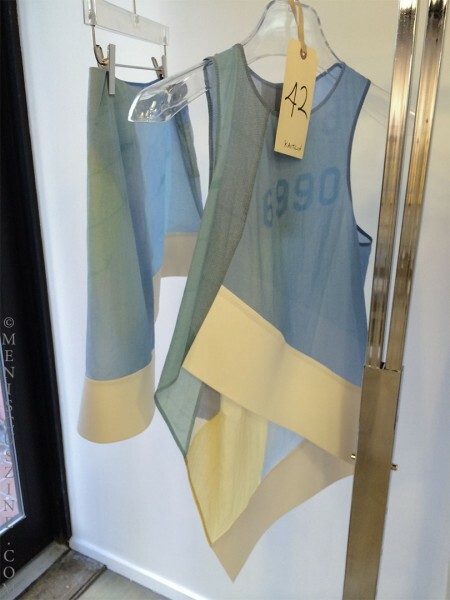 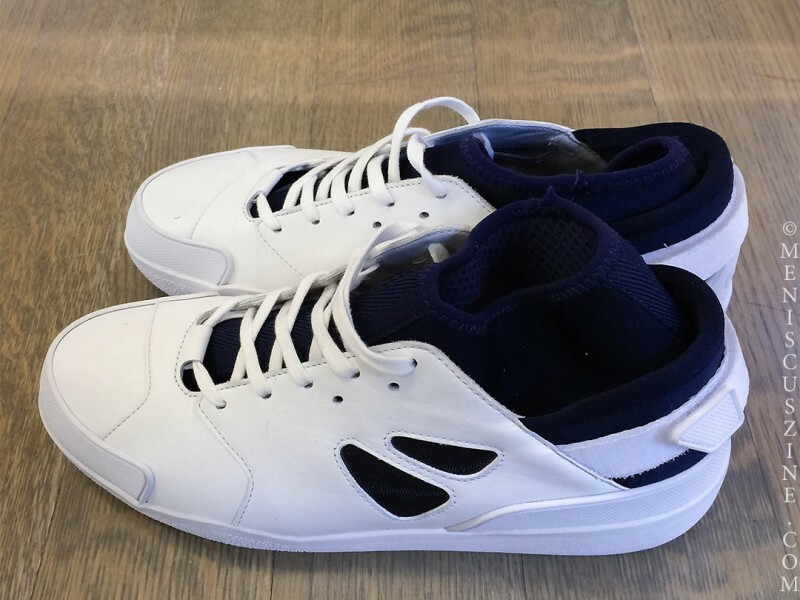 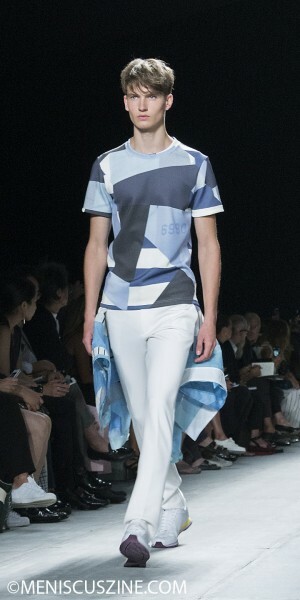 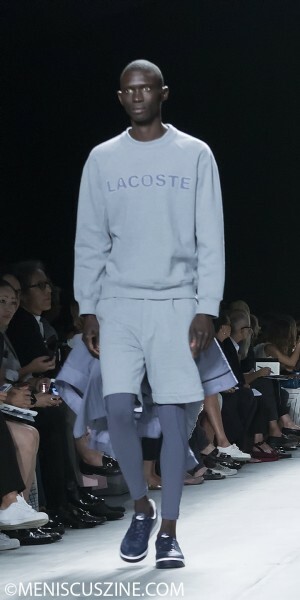 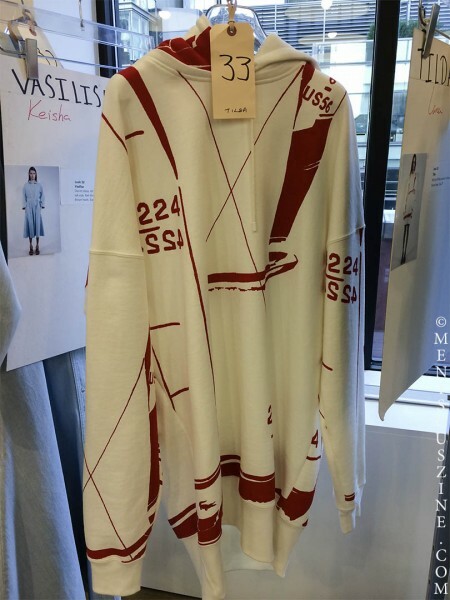 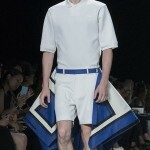 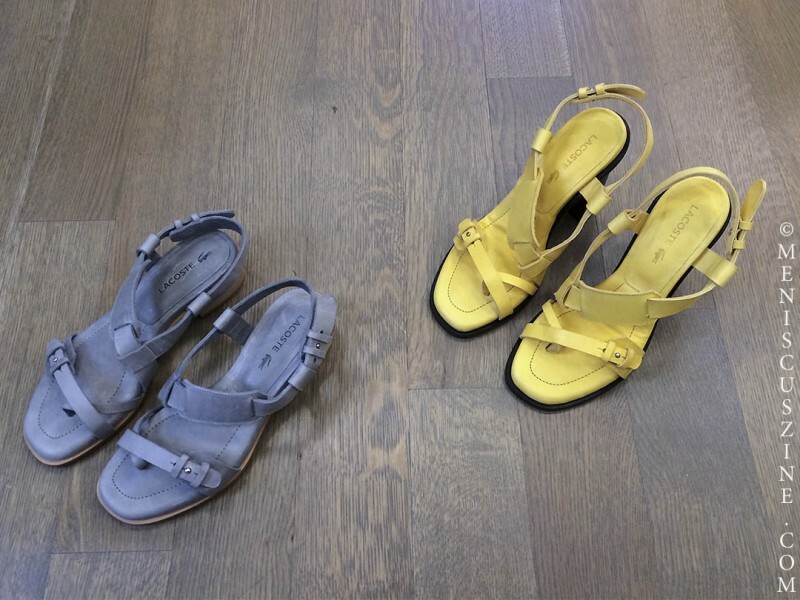 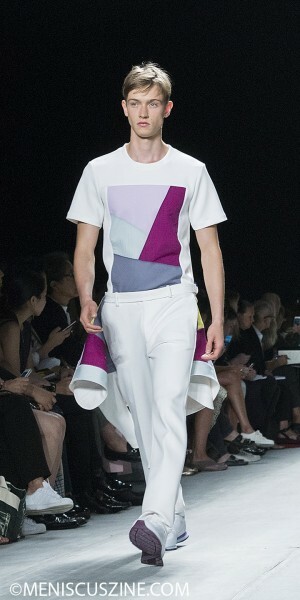 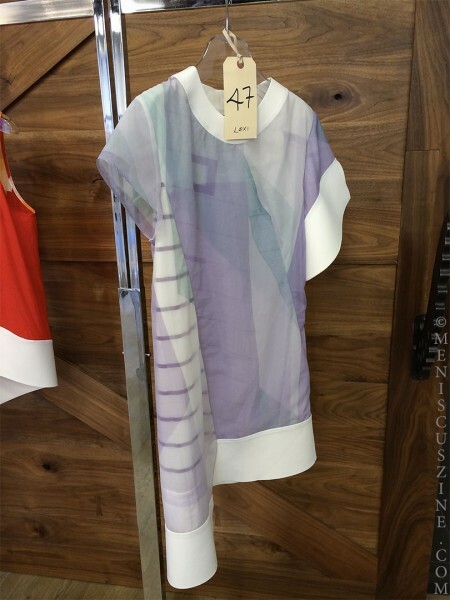 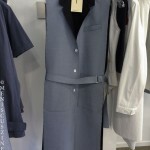 A sleek, sporty practicality ruled over Lacoste’s Spring 2015 runway, which is exactly what we have come to expect from designer Felipe Oliveira Baptista’s collections. 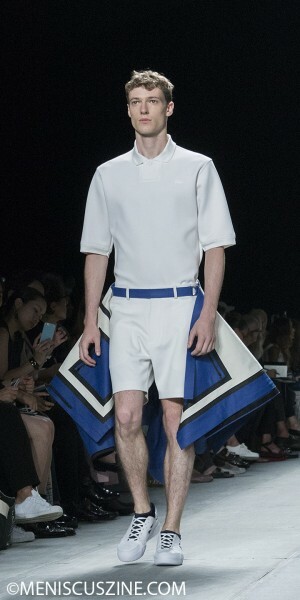 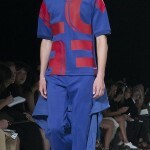 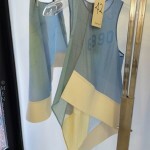 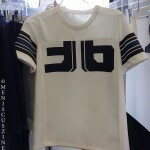 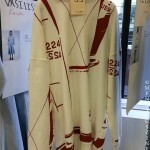 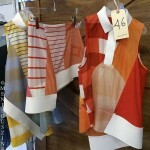 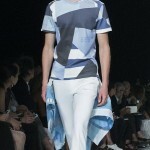 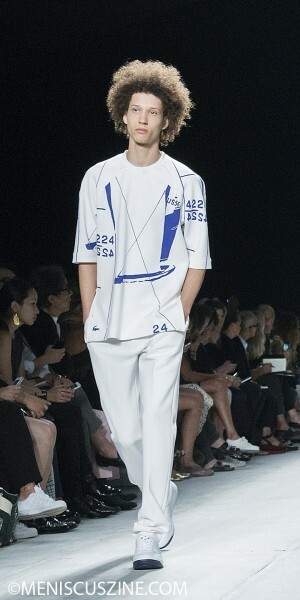 However, this season’s inspiration came from the brand’s nautical heritage, which may be less known to consumers than its more familiar association with tennis (René Lacoste, creator of the original polo shirt that launched his company, was one of The Four Musketeers from France who dominated the sport in the early 20th century). 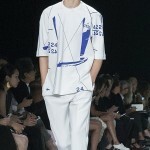 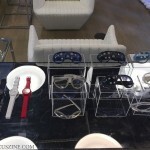 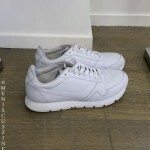 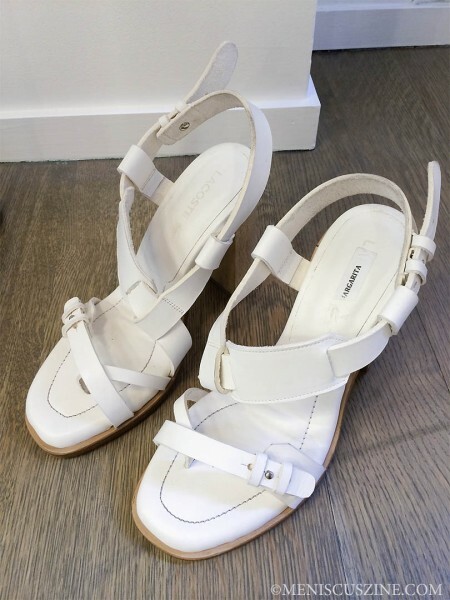 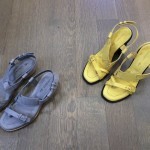 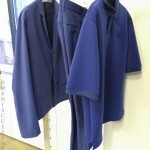 The company designed two sailing boats in the 1980s, which became the starting points for Baptista’s maritime looks. 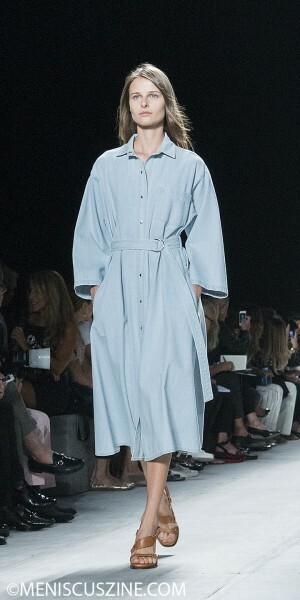 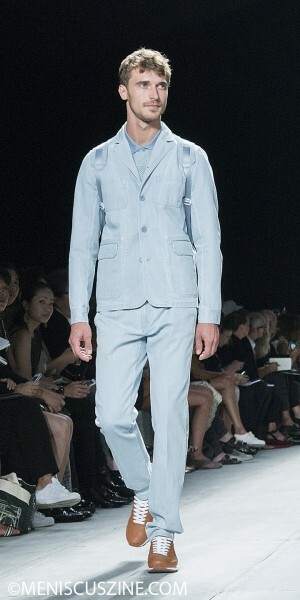 Opening the show was a women’s chambray blue jacket made of thick neoprene reminiscent of waterproof outerwear, but made street-ready by its of-the-moment sleeveless cut. 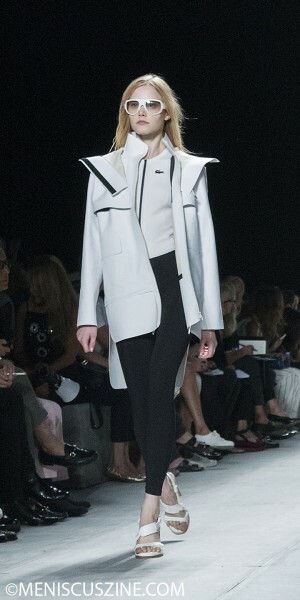 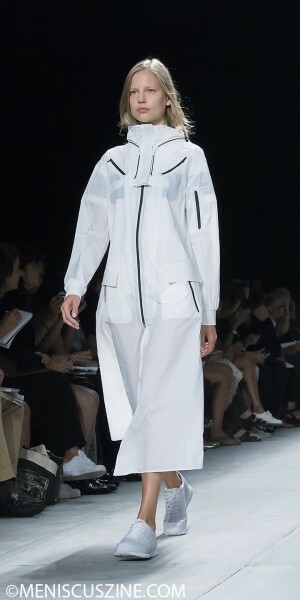 A white below-the-knee windbreaker with contrasting black zippers soon followed, surely the chicest yachting wear to be designed in some time. 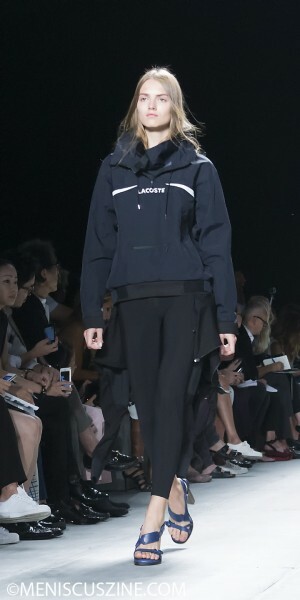 But Nautica this is not; we’re not actually getting our hands dirty here. 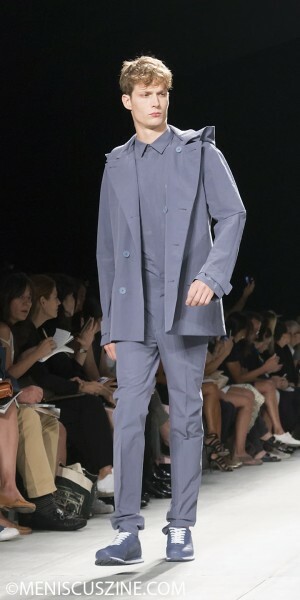 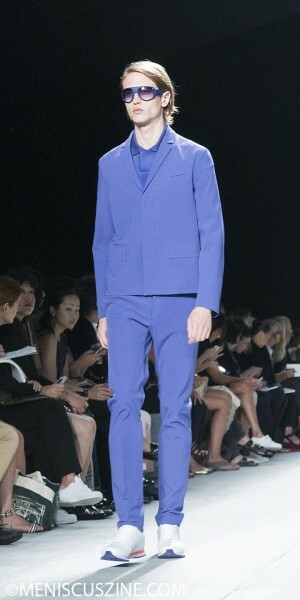 A monochrome blue slim-cut suit for men reminds us that the sophistication of leisure is still the point. 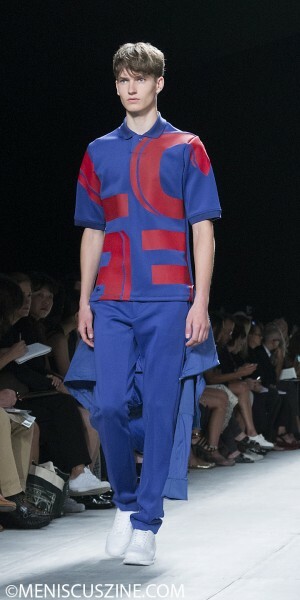 Interestingly enough, elements of American football were also incorporated. 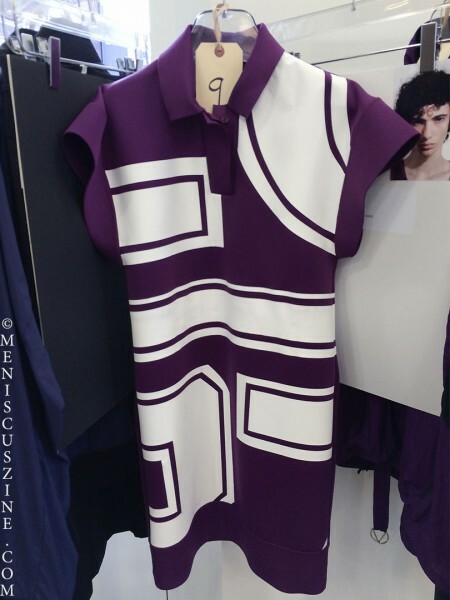 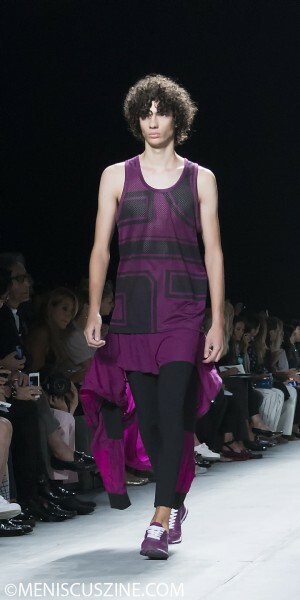 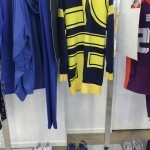 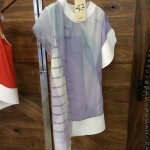 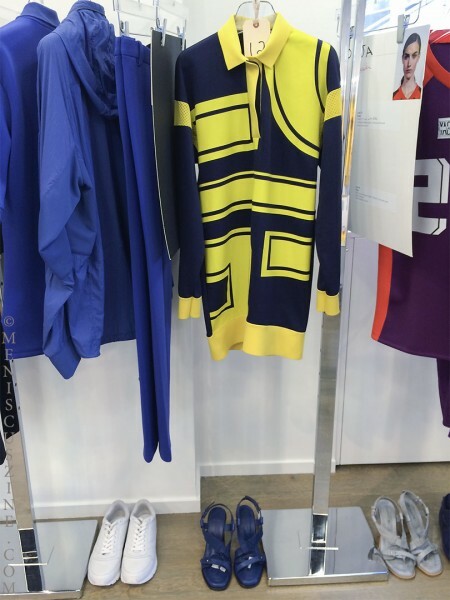 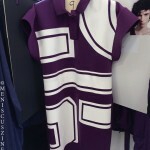 There were mini dresses emblazoned with overblown jersey numbers, with the same print also appearing on a polo shirt and what appears to be a deep purple basketball tank for men. 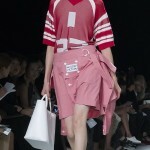 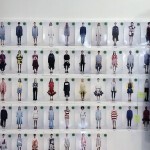 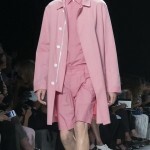 Matching anoraks were tied around the waists of male and female models alike, sleeves left trailing like loose sails as they walked down the runway.